There are few cultural events that inspire as many traditions as marriage. Asian wedding traditions are steeped in symbolism and are visually beautiful. Many people want to incorporate traditions from around the world into their wedding, so here we give you a small sample of traditions from five different Asian countries to inspire you! Traditional Japanese weddings are private affairs, that take place the temple of the ancient religion called Shinto, however the reception is lavish and full of colour and fun. There are several traditions that could you beautiful to incorporate into your own wedding, but we don’t advise that you copy the tradition of painting the bride white from head to toe; unless of course, you want to! 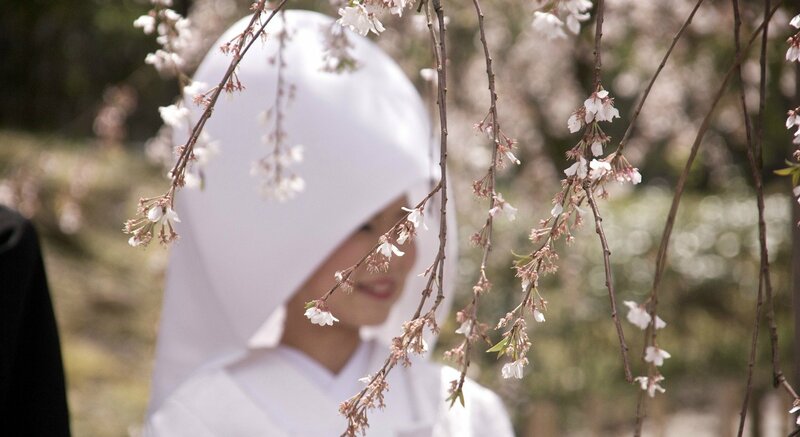 In a traditional Japanese Shinto wedding, the bride wears a white kimono called Shiromuku, symbolizing purity. She’ll then change into a colourful Irouchikake kimono for the reception, with beautiful embroidery, red colours for luck and also gold. The bride’s hair is worn in a bun with beautiful accessories. These special wedding kimonos date back to the 14th century and are full of symbolism and beauty. Wearing a traditional Kimono at your wedding could be dazzling! A traditional Japanese wedding reception usually includes a sake-sharing tradition, called san-san-kudo. This ritual dates back to a time when sharing sake meant that a formal bond had been made. Using three sake cups stacked on top of one another, the bride and groom take three sips each from the cups, then their parents also take three sips, formalising the bond between the two families. 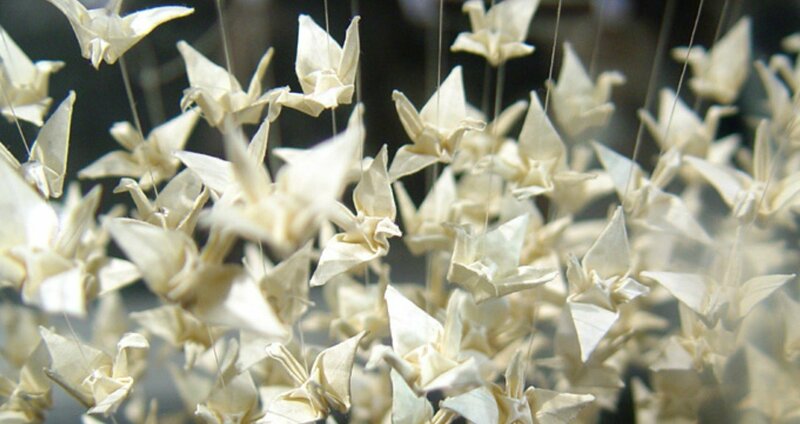 The practice of sembazuru, the folding of 1,000 paper cranes, has been a Japanese wedding tradition for more than a 1,000 years. The bride alone, or the betrothed couple would make origami cranes for weeks on end to symbolize the patience necessary for a long, happy marriage. Many modern weddings use this Asian wedding tradition with great success. The paper cranes can form part of your wedding decoration, and you can order them from specialist origami makers. Note though, that because making these cranes takes time, you will need to order them at least two months in advance. A traditional Thai Buddhist wedding ceremony does not take place in a temple, and no vows are made but there is a large amount of symbolism to ensure good luck for the couple. Many people incorporate Thai wedding traditions into their own wedding since they are very beautiful and meaningful too. The day is started in the early morning with the couple being blessed by the monks in the home of the bride’s parents. This is proceeded by the ceremony rituals in the afternoon, still in the home of the parents. The ‘reception’ is then held in the evening, which is either under tents outside the home or in a hotel. The monk are traditionally invited to the home of the bride’s family and will take place in the morning to bless the couple. The blessing ritual symbolises respect to Buddha and also for the couple to honour the 9 basic principles of Buddha’s teaching. The blessing is chanted in Pali, the ancient Sanskrit language and is very calming and spiritual to listen to. Thai’s believe that the numbers 5, 7 and 9 are auspicious, so will bring luck. Therefore, there will always be this many monks invited to the blessing. Thai families will usually invite 9 monks as this is the most auspicious and luckiest denomination. For a western adaptation, it is usually 5, but still lucky, nonetheless. The couple then make offerings to the monk to make merit. The senior monk will bless some water which the couple will pour into a copper bowl and once the blessing has finished, they pour the water to the roots of a nearby tree as this is considered lucky by offering life to something will merit good luck and long life for the couple. The couple will then offer the last meal of the day, lunch, to the monks. Once they have finished, the main ceremony can commence. However, for Western people getting married in Thailand, the timings are often adapted so that the wedding does not take all day, but the blessing from the monks should always take place in the morning and finished before midday. The Khan Maak procession marks the start of the main ceremony and this procession starts just around the corner from where the wedding is taking place. It involves the groom and his family dancing to the event. The procession is a lot of fun and is accompanied by traditional Thai musicians playing long drums, and is similar to processions that are also part of Hindu and Malay wedding traditions. The main part of the traditional Thai wedding ceremony is usually conducted by a senior family member. The couple kneel in front of the elder and wai (bow their heads in respect) as a delicate white thread, ‘sai monkhon’, is used to link the bride’s and the groom’s heads together. The thread forms two circles around the two people’s heads which while linked, also remain independent. This symbolises that the couple’s destinies are linked, but their individual identity is retained, which is a beautiful sentiment and very apt for today’s modern approach to marriages. Firstly, the elders will then pour sacred water from a gold embellished conch shell over the hands of the couple giving their blessing and wishes for the bride and groom’s future happiness. The water is caught from under the couples hands into bowls of flowers. The other guests are then invited to bless the couple. This is the ‘rod nam sang’ ceremony, which again, is a very beautiful ritual. Hindu weddings in India are very varied and also full of religious symbolism. 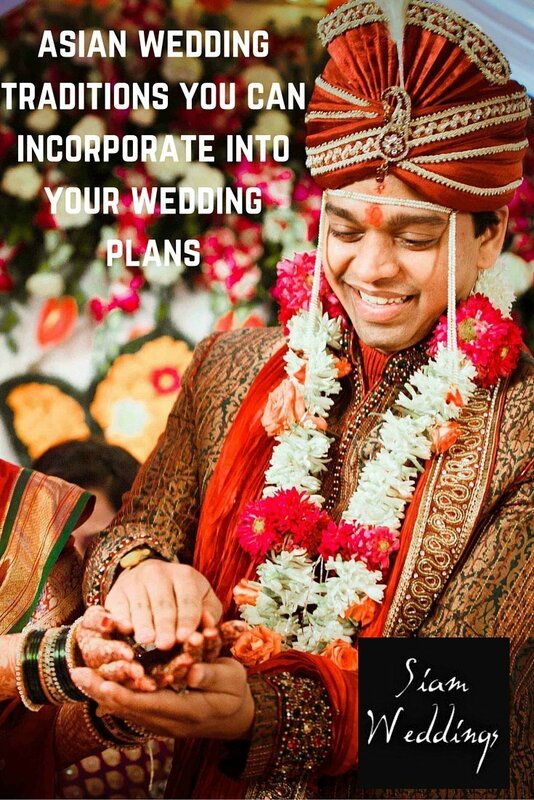 It can be amazing to incorporate some elements of a Hindu wedding into your own, even if you are not Hindu, but it is best to know the meaning behind the different components, and only use the parts that have a spiritual meaning to you. A typical wedding lasts a minimum of 2 days but can last up to 7 days, so if you are a guest find out the timetable for sure. If you are a non Hindu but would love some of these elements included, you can still stick to a good old fashioned one day time table and ask your wedding planner to organise the events accordingly. The evening before a Hindu wedding elaborate henna art called Mehindi is put on the hands of the hands and feet of the bride and her female friends. 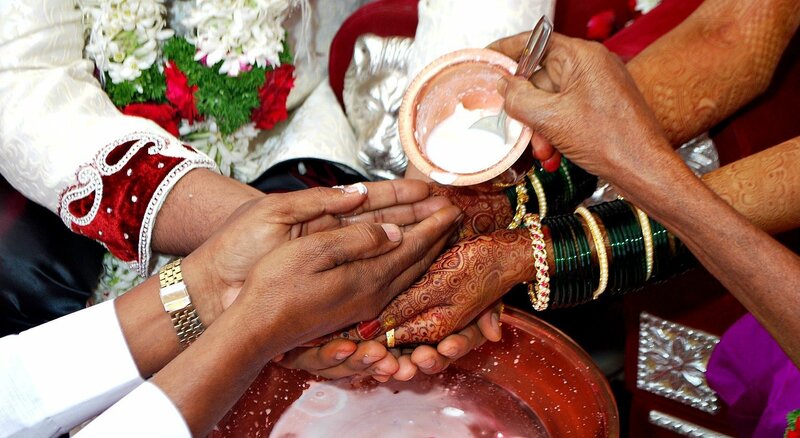 Mehindi signifies the bond of marriage, and the darker the henna, the stronger the bond will be. Having a Mehindi artist decorate you and your female friends the night before the wedding can be a fun and bonding thing to do together, especially if you are all staying together in a villa or hotel. This is a girls only event. The Barat, is a singing and dancing procession of the groom and his family, as they make their way to the wedding venue. The bride’s family welcomes them and gives them sweets, as a symbol of happiness. This can be a wonderful ‘Bollywood style’ start to your wedding, especially if the groom’s friends and family are musical. Giving away the bride is one of the most significant acts for a Hindu bride’s parents. The mother of the bride pours holy water on her husband’s palms which then flows onto the groom and bride’s palms too. This symbolises the passing of family heritage from one generation to the next. This is the one of the most important parts of the Mandap ceremony which is basically the main event if you like, although of course there are Hindu traditions that happen many days before and after the big main day. The Mendap is a four pillared canopy underwhich most of the main day’s ceremony happens. The bride and groom are officially married when they light a holy fire that symbolises light, power and knowledge, which they circle four times. This ceremony also happens under the beautuful four pillared canopy that is the mandap. The final part of the ceremony involves the couple taking seven steps together, while seven special blessings are made to them. 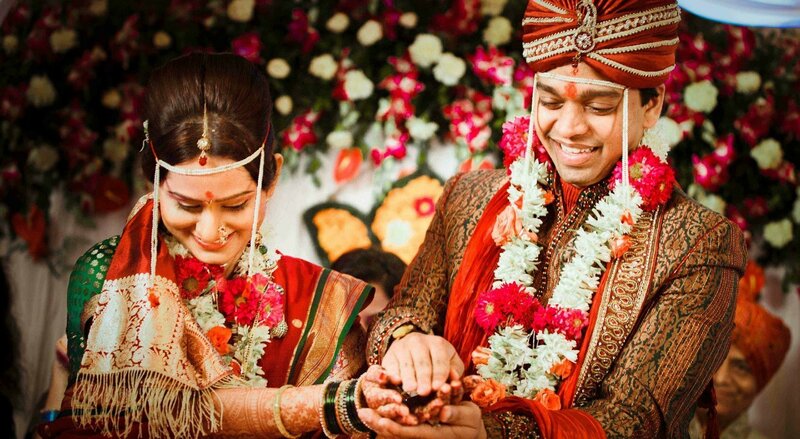 What element of thse Hindu traditions would you like to incorporate into your wedding? Each element is full of beauty and symbolism and can add depth and meaning to your own ceremony. All the rituals performed as part of the mendap tend to have lots and lots of family members on stage, which adds to the meaninfulness of the event, so if you plan to incorporate any of this, just ask your wedding planner to organise for extra seating up on stage, and even a comfy sofa for the elders. Just like the Japanese wedding ceremony, a traditional Chinese wedding ceremony is short and private, with only close family members attending. However, the procession that the bride takes to her wedding is colourful and fun, and the banquet that happens after the wedding is a delight too, including the famous Chinese Tea Ceremony. You may have seen the colourful wedding sedan of a Chinese bride in the movies. 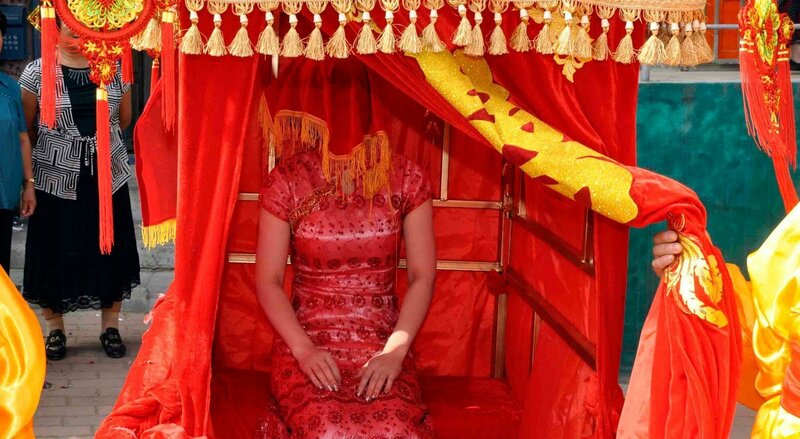 At a traditional Chinese wedding, the bride doesn’t walk to her ceremony but is carried on a throne, covered in red silk and is carrried by friends and family of the groom. The procession is full of much merriment including drums and firecrackers. If you have fallen in love with the idea of having a Chinese themed wedding, don’t forget to hire some lion dancers too. The Chinese tea ceremony formalises the union and is a beautiful and intimate ritual, very popular at weddings throughout the world for all sorts of couples. Traditionally the tea ceremony only involves close family members; sometimes the guests can watch, or sometimes it is kept private. Either way, it is a great way for the wedding couple to thank their parents and close family and include them in a lovely ritual. Firstly the wedding couple serves Chinese tea (using a beautiful Chinese tea set) to the groom’s parents and elders in order of age. The groom’s parents are served first, followed by his paternal grandparents, maternal grandparents, uncles and aunts, and finally any older siblings he may have. After each elder takes a sip, they give the couple a red envelope which contains money as a wedding gift. The ceremony is then performed for the bride’s family. The best way to arrange a tea ceremony is to have your wedding planner set it all up for you and then give you a little rehearsal, but it is actually very simple. You need a table set up like a little alter to display things like candles in recognition of each family, white flowers, shells, fruit, wine, and incense. Each item has a meaning and it is often nice to include a little explanation for the guests to read. Of course, a Chinese tea set is a must. Popular choices of tea are black dragon or orange blossom, but any kind of sweet tea symbolises good luck. Typically, the whole area is decorated wonderfully. In a traditional Chinese weddng banquet, all the guests are seated around circular tables of around 12 people, so not too different from a traditional western wedding. There are normally nine courses served and each dish symbolises different things for the wedding couple, such as wealth, good luck and fertility. A successful wedding banquet is one where the food never funs out, as it is considered to be bad luck if a guest manages to empty their plate. Typcially the bride and groom are busy walking around the banquet, chatting to their guests, and also making dramatic costume changes, but personally, I would love to enjoy all the courses! That’s it for a our little selection of wedding traditions from around the world. Here at Siam Weddings we can include all of this and more into your special day, no request is too big or too small.